If you live in a place where the winters are quite harsh, then you know the struggle of protecting your plants against the cold and imminent frost. Still, if you want to see your plants grow in the spring, you’re going to have to do your best in order to make sure they won’t get damaged in the cold season. 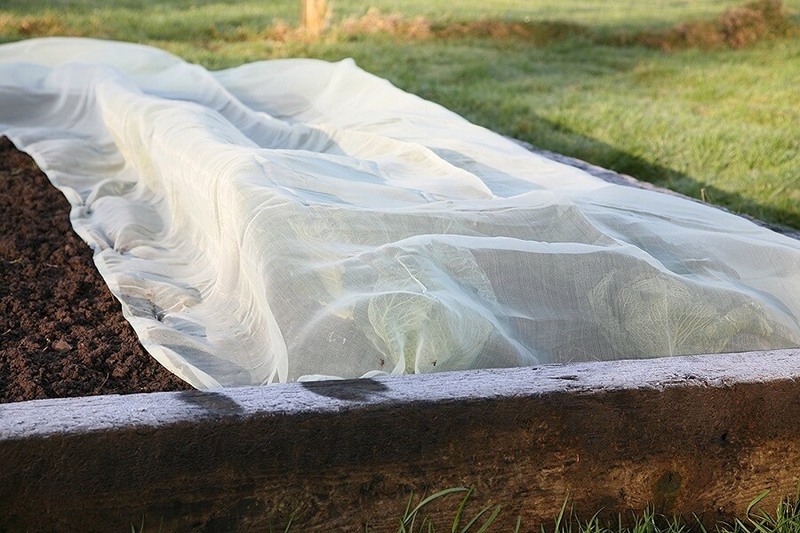 Have you tried to improvise all sorts of plant covers for cold weather, but none of them seemed to work the way you wanted them too? Then you should consider buying plant covers instead. There are a lot of options out there, but we’re going to provide you with 6 of the best ones today. This is precisely what it claims to be, namely a jacket for your plants. It’s easy to install and it provides plants with all the protection they need when the temperature is low. 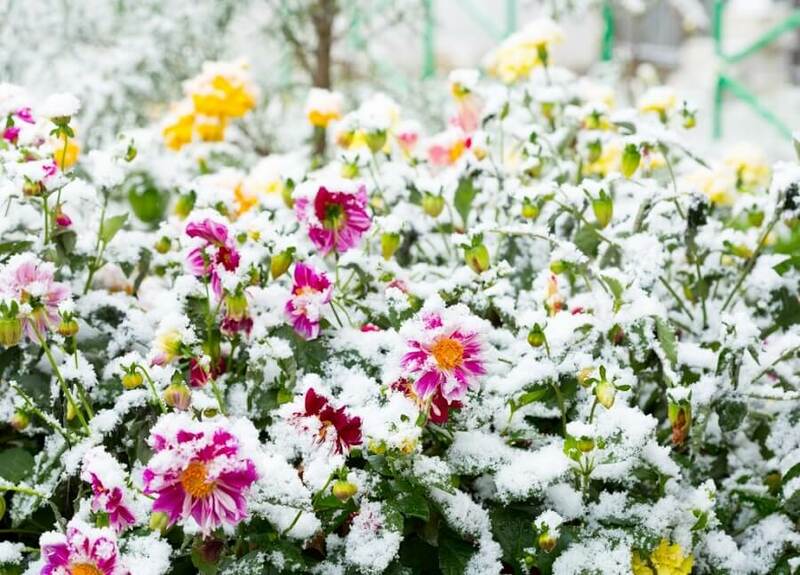 Moreover, you can be sure that the plants won’t freeze either, even if the weather conditions are less than ideal. If you’re worried about the fact that if you completely cover your plants with these jackets, they won’t be able to breathe properly and end up dying, you should put your worries aside. The covers are made of an UV-stabilized high-quality polypropylene fleece material, which is extra thick. This means that it keeps your plants warm, while also making sure that air and moisture are still able to reach them. If you’ve ever considered bringing your plants indoors in order to keep them safe, you can forget about it. You won’t need such inconvenient measures if you use these fleece jackets. They come in three sizes: small, medium, and large, according to the type of plants you have in your garden. Still, no matter the size, they all come with a drawstring that allows you to secure them properly. If all of these details have convinced you that you can’t let this winter pass without buying some plant jackets, you can do that on Amazon for $12.98. Not only can you now buy a jacket for your plants, you can also buy a blanket. Or better said, a planket, as this plant cover is called on Amazon. If you’re looking for plant covers that allow you to protect many plants at once, then this should definitely be one of your options. The material is extremely durable, and it can stand strong winds, snow, sleet, and frost. Basically, it’s everything you could ever want in a plant cover. The fact that the material is durable and sturdy doesn’t mean that it will stop your plants from breathing. In fact, it’s quite lightweight, so air can still reach your plants, and they won’t get squashed under its weight. It’s also easy to install. All you have to do once you get it is unfold it and throw it over the plants that require winter protection. This means that it’s easy to store as well. It doesn’t take up a lot of space and you can use it again next winter. If you’re worried that whenever the wind blows, your plants run the risk of remaining unprotected, then you should know the planket comes with 14 built-in grommets made of sturdy metal. All you have to do is secure them to the ground. Then, the planket will provide your plants with constant protection. There are more sizes that you can order, but allow us to recommend you the largest one. This is 10 by 20 feet long and it covers a maximum of 200 square feet. This is possibly one of the most creative and lovely plant covers for frost we’ve ever seen. It looks exactly like a bell jar, which means that it can also be a decorative piece in your garden. Still, its main function is, of course, to protect your plants from cold weather. Not only from that, but from frost, hail, snow, wind, and even insects as well. The way it manages to do that is by covering them with a UV-protected plastic that is extremely high-quality. One of the most interesting characteristics of these garden bells is the fact that they come with an air vent. You can adjust it according to the needs of your plants and the weather. Due to its shape, the bell acts almost the same as a tiny greenhouse. 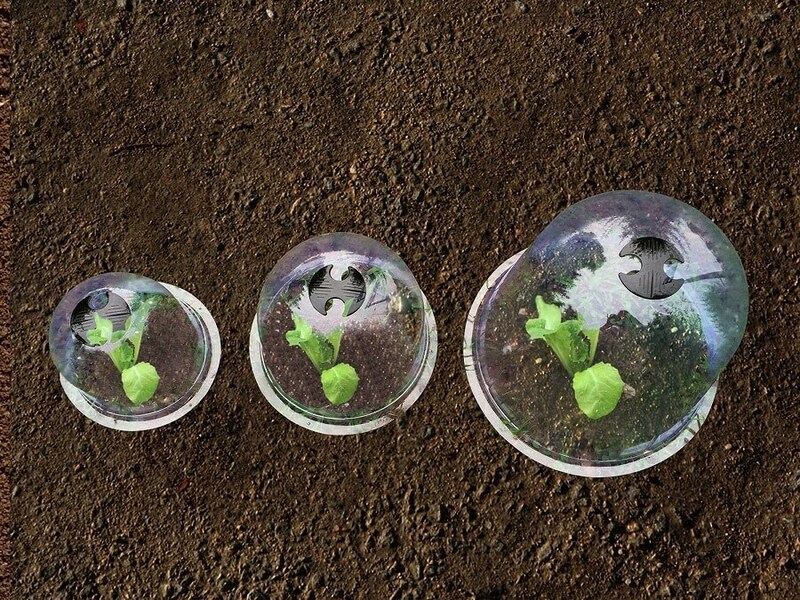 It keeps the plants warm by allowing sunlight to pass through the plastic straight to them, and by making sure they have plenty of air as well. You can find the kit that includes 10 garden bells and the ground securing pegs you need to attach them to the ground on Amazon for only $38.56. They come in more than one dimension, so you can choose the perfect ones for your garden with just a few clicks. 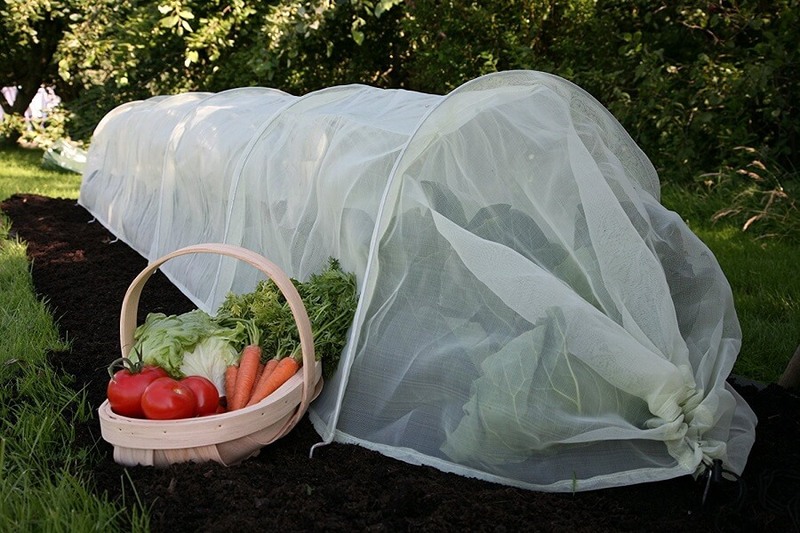 Plant covers for winter shaped like blankets are perfect for people who have an extensive garden of crops that they want to keep safe during the cold season. That’s because they cover a lot of space and they’re easy to install. This guarantees that you won’t spend hours trying to cover all your plants. This option is not designed especially for the cold season. However, you can use it to keep away the frost and the snow, while also enjoying some of its other benefits. For instance, this blanket is made from an ultra-fine material that is only 0.6mm thick. This means that you won’t even have to worry about small insects such as whiteflies or aphids invading your crops. Still, those 0.6mm are enough to allow sunlight and air to reach your plants. After all, this is something they can’t live without no matter the season. The blanket has a slight green tint, which is not a random choice. The green color helps retain moisture more than others, while also providing the crops with a bit of shade. The standard dimensions of this blanket that you can order from Amazon are 198″L x 70″W. However, if you need a smaller option for your garden, you can always cut it according to your needs. Plus, if you want to make sure the wind won’t blow away the blanket, you can also purchase the Haxnicks Ground Pegs that will help you secure it. If you think you’re going to enjoy the micromesh blanket above, then you should also consider some micromesh tunnel plant covers. 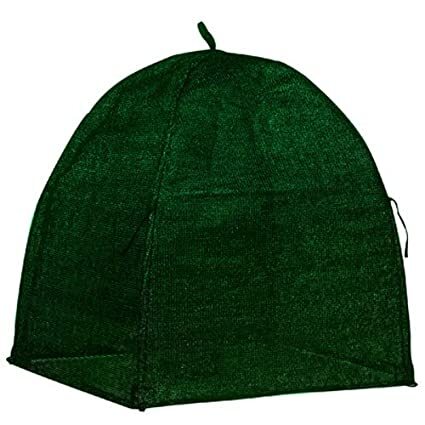 We have the perfect option for you: the Haxnicks Easy Micromesh Tunnel Garden Cloche from Amazon. You get all the benefits of the micromesh fabric, plus the added bonus of a tunnel-shaped structure. The structure provides your plants with plenty of space to breathe and grow unencumbered. As in the case of the previous option, this one too keeps away all pests, from larger animals to birds and insects. It also offers the plants plenty of shade, warmth, and air. One of the greatest things about it is the fact that you can unwrap it easily. That’s because it has an accordion shape. Moreover, you don’t need to unwrap it completely in order for it to work. You can just use a part of it if you have a smaller area of land. Its shape also ensures fast and easy installation and an equally fast uninstallation. The hoops that secure the mesh are made of galvanized steel and are rust-proof. So you don’t have to worry about the moisture damaging them in any way. They’re the ones that help you ground the garden cloche, which you can do without too much of an effort. The cloche comes with drawstrings on both ends, which allow you to access your plants whenever you want to. For the price of $29.98, you can order a giant micromesh tunnel (118″L x 24″W x 18″H) on Amazon. If you’re interested in a smaller option (118″L x 18″W x 12″H), that only costs $22.98. If you have shrubs in your garden or backyard, then it’s only natural to look for plant covers that fit their dimensions and are made especially for them. Allow us to suggest the winter shrub covers from Nuvue plant covers that you can find on Amazon. A cover costs $25.24 and it’s well worth your money. It’s made of synthetic fibers that protect the shrubs against the worst of weather conditions. 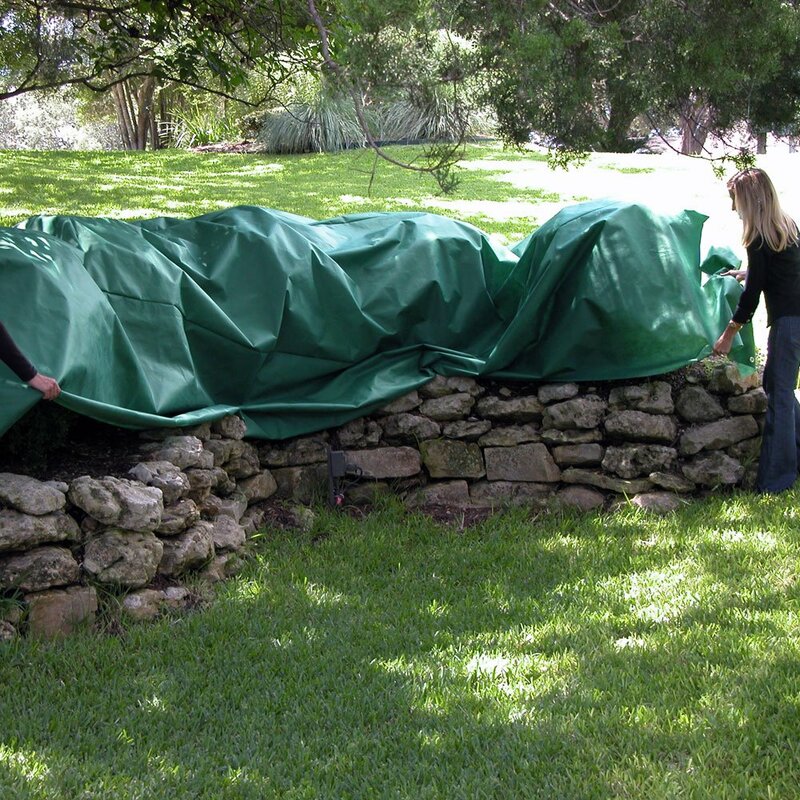 Be it strong wind, freezing rain, or snow buildup, the covers will keep your shrubs safe. The fiber is not as thick as to impede air circulation and light penetration, so that’s not something you should worry about. Each cover has 4 spikes that you have to use in order to ground it. The process is extremely simple and it guarantees excellent shrub protection. No matter the types of plants or crops that you want to protect from the winter cold, it’s safe to state that you can find plant covers to fit your every need. 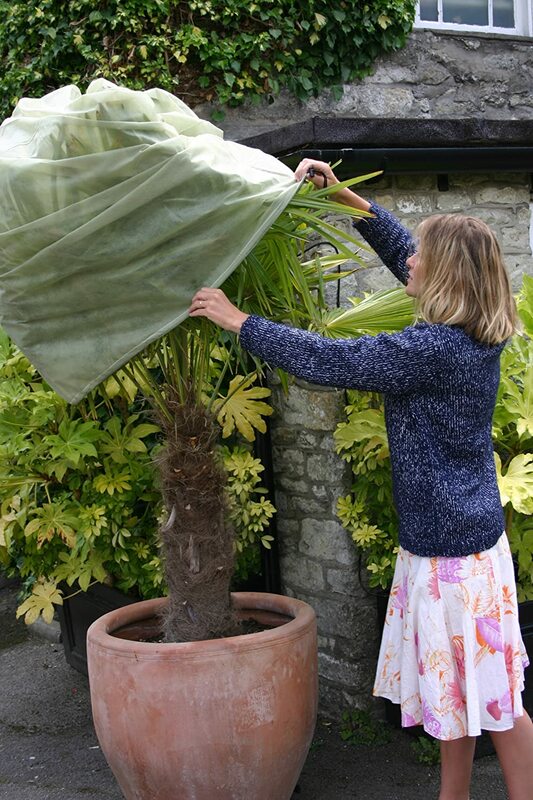 We hope the selection of winter plant protectors we provided you with today contains at least one of the plant covers you were thinking of buying.